If you’ve been injured, you need an experienced, compassionate attorney who understands what you’re facing and knows how to act in your best interests. 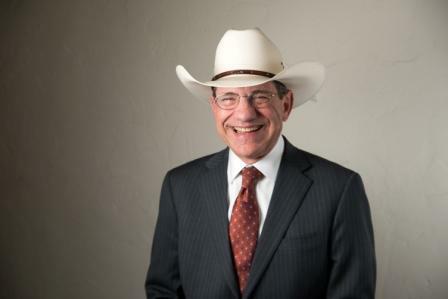 For over 40 years, Johnson & Biscone, P.A. has been helping clients with personal injury cases in Oklahoma City, Edmond, Norman, and throughout the state. Your initial consultation with an accident attorney is free. Begin your free case review by calling us at 405-232-6490 today. Johnson & Biscone, P.A. is an association of two law firms under one roof: Biscone & Biscone and Bryce Johnson & Associates. In 1999, our law firms joined together to use our combined expertise in service of clients throughout the state of Oklahoma. 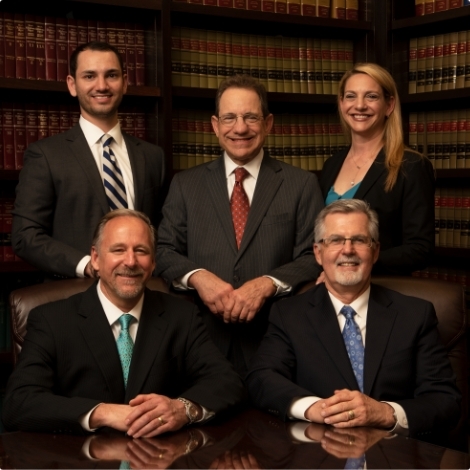 Attorneys at Johnson & Biscone, P.A., have more than 90 years of combined experience practicing law. We know the rules that govern personal injury cases in Oklahoma, and we do things the right way to ensure that you receive the full recovery to which you are entitled. When you contact Johnson & Biscone, P.A., our attorneys are with you on the ground level through the entirety of your case. When you call, a legal assistant will handle some of the initial questions, but one of our lawyers will get on the phone and talk to you. The same is true of your in-person consultation: You will meet directly with our attorneys. Both your phone consultation and in-person consultation are absolutely free. We are a compassionate law firm. We understand the difficulties that affect our clients and their families after a car crash, serious injury, or workplace accident, and we handle each aspect of your claim with the utmost integrity. We are not afraid to go to court in order to ensure the best outcome for your case. You can count on us to go to bat for you. How do attorney fees work? Why do we practice law? After an accident, you might be afraid to seek out the advice of a lawyer for fear of incurring legal costs. The thought of legal bills on top of the medical bills and time away from work that you are dealing with may be overwhelming. However, our personal injury lawyers at Johnson & Biscone, P.A., only collect attorneys’ fees if there is a recovery in the case. These are known as contingency fees. A contingent fee is a fee that is collected only if we achieve a favorable result in your case. Cases can be resolved in court or settled out of court, and the fees are calculated the same: a percentage of the amount recovered. No recovery, no fee. If the case is not favorably resolved by our firm on your behalf, you will not have to pay any attorneys’ fees. Our attorneys front all litigation costs. However, if your case is successfully resolved, costs may be incurred in addition to the attorney’s fees percentage. Litigation costs vary depending on the complexity of the case. How Is the Lawyer Paid? The other question we are asked is, “How are you paid?” or “How is a lawyer paid on a personal injury case?” If our lawyers take your case, you owe us nothing upfront. Should we prevail, the lawyer takes a percentage of the gross recovery that represents the total settlement or verdict of the case. That’s it. If our law firm does not recover a settlement fund for you, you do not owe us anything. Many prospective clients ask if hiring an attorney is absolutely necessary in their claim. In most cases, it benefits you to have the advice and assistance of a good personal injury attorney. An attorney who understands serious injury, personal injury law, and how insurance adjusters look at cases can provide you with the ammunition you need to resolve your case most favorably for you. These are just a few small examples of the kind of information a lawyer gathers as part of an injury case. Our attorneys maintain relationships with medical professionals who can help you get the right care and the best documentation. Oftentimes a case will not settle without filing a lawsuit. You can certainly represent yourself in your own lawsuit, but it’s not a good idea. Johnson & Biscone, P.A. fights for our clients’ rights in the courtroom. We are trial attorneys. You need someone who understands the legal system and knows or has a relationship with lawyers on the other side of the case, as well as with potential judges who might be assigned to the case. When you enlist an experienced, qualified lawyer, you will typically come out on the higher end of a fair settlement than if you try to handle the matter yourself. We cannot guarantee specific results, but we can guarantee our best efforts. Why Do You Practice Law? For our attorneys, the clients who need us truly make every day a different day. Many people who suffer serious injury think they only need medical care, not money, but at Johnson & Biscone, P.A. we have the humanity to ensure our clients get the care they need and pursue the compensation they deserve. Why Choose Johnson & Biscone, P.A. Just in Oklahoma City alone, there are countless lawyers who claim to do personal injury work, wrongful death cases, workers’ compensation, and Social Security Disability Insurance claims. Some of those lawyers are very good. So why should you hire Johnson & Biscone, P.A. for your injury case? Our lawyers have been collectively practicing law for nearly a century. We draw upon this experience to fight for our clients and achieve the best outcome for their case. Experience really counts. Find out why by calling Johnson & Biscone, P.A. at 405-232-6490 for a free evaluation of your case. Our law firm serves clients in Oklahoma City, Edmond, Norman, and nearby areas of Oklahoma..